Travis Scott is breaking records with his most recent tour stop in Los Angeles. 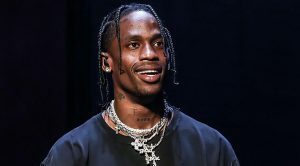 TMZ reorted that the rapper raked in $1.7 million in one night at the Los Angeles Forum stop for his ASTROWORLD Tour. The show sold over 16,300 tickets. Elite performers like Michael and Janet Jackson, Garth Brooks, Lady Gaga, The Grateful Dead, and Sting are the only others to achieve such a feat. This also marks the highest-grossing night of the Astro World Tour.